What is the best lens for astrophotography? In this article, we analyze and recommend five of the most popular wide-angle lenses for night sky photography in 2019. To help truly find the best equipment with proven success, as part of our astrophotography masters series, we have asked some of the best photographers in the world what astrophotography lenses they use and recommend. The lenses below are all technologically up-to-date in 2019 and popular amongst astrophotography enthusiasts, both amateur and professional. We have focused on wide-angle lenses, which are ideal for Milky Way photography and capturing amazing pictures of the starry sky above the earth. 4. Conclusion: What is the best lens for astrophotography? 5. Vote! What do you think is the best lens for astrophotography? There are two main things to look for in the lens for your camera to give you the best chance of getting fantastic astrophotography shots. Firstly, it the lens you use should be wide angle. This means a short focal length as measured in millimeters, with the lower the number the wider it is and the more sky you can capture. It will depend on the type of camera you have but a wide-angle lens is generally regarded as anything less than 35mm for a full frame camera, 24mm or below for an APS-C sensor camera, and 16mm or below for a micro 4/3 camera. Secondly, the lens you use should be fast. This is indicated by a low f/number – the lower the number, the larger the aperture of the lens and the more light that it can collect for exposing the stars in the night sky. A good lens for astrophotography will have an f/number rating of f/2.8 or lower. Below we examine some of the best camera lenses for astrophotography and capturing the milky way. All of these are popular models and have options available for the most popular DSLR and mirrorless cameras from manufacturers like Canon, Nikon, Sony, Pentax, Olympus, and Fuji (make sure to select the right lens for your camera model when buying). Rokinon is a South Korean manufacturer who produces some great value lenses that are compatible with different cameras. Confusingly, Rokinon also goes by the names Samyang and Bower in different markets and can sometimes offer the same lenses under different names. For example, the Samyang 14mm and Rokinon 14mm lenses can sometimes both be found for sale at different prices, despite being the same lens. However, in the US and Europe, they most frequently sell their lenses under the Rokinon name and so that is the model that we are looking at here. This Rokinon prime lens is a popular and great value lens for star photography. At 14mm it opens up the skies and with an F/2.8 aperture it is fast and will capture the light you need for astrophotography. Versions of the lens are available for full frame Canon, Nikon, Sony and Pentax cameras. It is also compatible with APS-C format cameras, where the 12mm would be, in effect, 22mm. One thing to note is that it is fully manual which might need some learning if you are used to auto-focus lenses, however, it really is great value when compared to lenses of similar focal length and aperture. Rokinon (and Samyang) do also offer a similar 12mm f/2.8 lens, and a 12mm f/2.0 specifically for Sony mirrorless cameras, which both make good alternative options. These are fish-eye lens though, and so have some distortion around the edges. Japan’s Tokina offers this fantastic 11-16mm zoom lens which offers great performance for night photography. 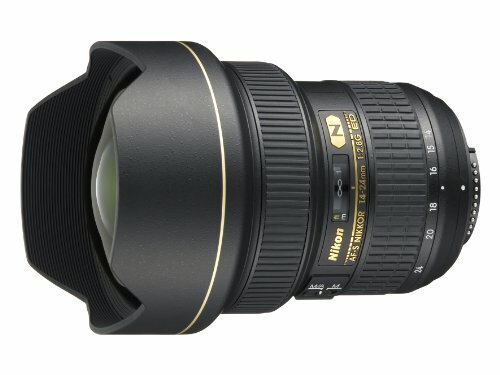 This lens designed for cameras with APS-C Sensors and there are different versions for Nikon and Canon. This lens features an automatic focus. Use of the Tokina 11-16mm for astrophotography can be seen in the work of Laura Krause in capturing the night sky over the LA desert. This Sigma 18-35mm zoom lens is an extremely popular wide angle lens for astrophotographers. It features automatic (ring type ultrasonic) focus, rather than manual. It is designed for APS-C cameras (with an equivalent focal length of 27-52.5mm) and different versions are available for Canon, Nikon, Pentax, Sigma and Sony cameras. 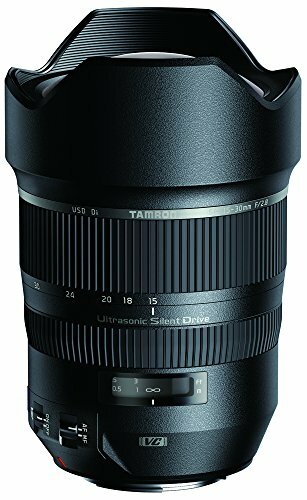 This Tamron astrophotography lens is perfect for night sky photography and well-loved by experienced photographers. You can see the results of its use for capturing the Milky Way in our profile of the work of Ivan Slade. It is designed for full-frame cameras but can also be used with crop sensor cameras (where it would be equivalent to a 23-45mm lens). Different versions are available for Canon, Nikon, and Sony / Minolta cameras, so be sure to select the right option when buying. The only small downside to consider is that it is fairly large and heavy in comparison to similar-specification lens from other manufacturers. Lastly, this is an extremely popular wide-angle lens for astrophotography. It is for those with a higher budget than many of the budget options on this list, but it provides high-quality in return. It can be used with both FX- and DX-format sensor cameras and this is probably the closest we can get to awarding the ‘best lens for astrophotography’ and will suit serious photographers with the budget. Use of the Nikkor 14-24mm for capturing the Milky Way can be seen in the work of Micheal Ver Sprill. Whilst it is a Nikon-made lens, Canon users can use an adapter so that they are able to use this lens. 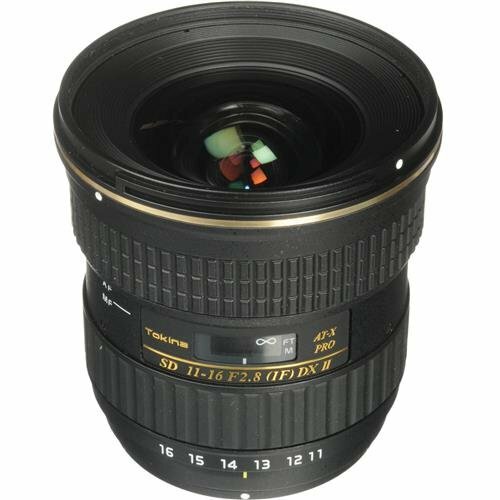 However, if you would prefer a Canon astrophotography lens then the Canon EF 16–35mm f/2.8L III USM Lens is a great alternative. It is a high-quality wide-angle zoom lens that rivals the 14-24mm Nikon lens. The zoom capabilities give it a versatility that can cover more than just astrophotography, but it loses none of the sharpness for not being a prime lens. Canon are currently on the third version of the lens which was released in 2016 to upgrade the popular series 2 version, that was originally released in 2007. If you are new to astrophotography, note that a standard kit lens that comes with most DSLR cameras is 18-55mm and so can fit the bill for capturing the night sky when used at 18mm. However, it may not be the greatest performer when it comes to speed and light capture and so the options listed above make some great options for upgrading for all different budgets. There is no single best lens, but these models are fantastic examples of wide and fast camera lens that should produce results. The Rokinon models have been a welcome addition to the market in the past few years by offering brilliant performance at lower prices than could previously be found. If you are to buy a new lens, it’s always worth checking that it is compatible with your camera model and many offer tools on their Amazon listings where you can enter your camera make and model and confirm. If you decide to buy, then make sure when ordering to select the right version for your camera make. This article was originally posted in December 2017 and has been updated for 2019. Congrats on getting yourself a great camera and for taking the time to research the best gear you can get for your money. It’s hard to say what is right for any one person but I think that with a full frame camera the 24mm lens is certainly wide enough. I would say though that given both of these lenses you are considering are good, fast, wide lenses, it might be best just to get one and try it for both landscape and astro and see what results you can get with it, rather than getting the two lenses at the same time. You might then find it gives you all you need, or if not you’ll learn to push it to it’s limits and then be in a better place if you decide you want to invest further. 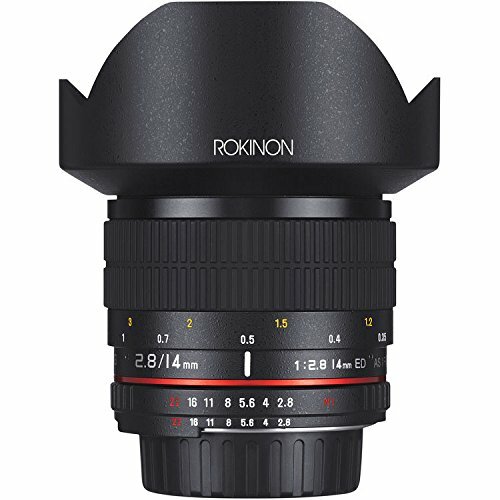 what about the Rokinon 12mm F2.0 lens? Yep, that’s a perfect lens that ticks all the boxes for astrophotography. 12mm is wide and f/2 is plenty fast. Just wondering how these two compare? I think these might be the same lens – Rokinon & Samyang (and Bower) are the same company but they offer the same lenses under different brand names in different markets. The Rokinon lens is available slightly cheaper and so I would just judge it on that. I have a 12 inch f/4 Newtonian reflector and I’m looking for a wide angle lens that works with a ccd such as Neximage 5 or Skyris 236M for Astrophotography. Using prime focus is fine for planetary work but no good for wide sky, deep sky and constellation shots. 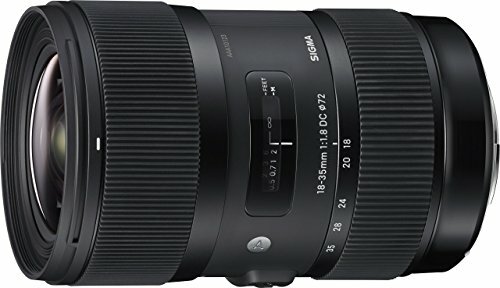 Will these lenses work and what adapters do I need such as T ring etc.